AN approach was made by a group of Assumption College old boys about a possible merger. The club committee, under president Rob Pearce, (pictured right) welcomed the proposal and got endorsement at a special meeting of life members in time for season 1999. 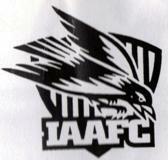 The Ivanhoe-Assumption AFC reached the finals three times in seven seasons. Under coach Valkanis, who was permitted to play, the Hoes made the preliminary finals in C grade in 1999. A poor season in 2000 saw the club relegated to D grade for the first time ever, and Valkanis stepped down as coach. 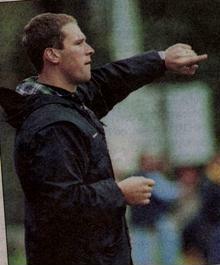 The 2001 season saw the appointment of Assumption old boy and former Melbourne reserves player Brad Hall as coach. The VAFA refused to grant Hall (pictured left) a playing permit, and, like Valkanis before him, the 24-year-old ruck/key forward endured a frustrating year on the sidelines. The Hoer club newsletter, written by press correspondent Phil Skeggs, also made its debut in 2001, and eventually went online as a popular weekly emailed newsletter to players and supporters. It lasted for seven seasons. An under 19s side, formed in partnership with Fitzroy Reds, struggled for numbers and survived just one season. The Hoes were based at Heidelberg Park in season 2002 while long-overdue drainage and resurfacing work was done on Ivanhoe Park. The club finished mid-table and Hall opted not to continue as coach, accepting an offer to play at Vermont in 2003. This was a serious blow to the Assumption partnership. Past player and club official John Matthew stepped into the breach and immediately set about creating strict training rules. The club returned to Ivanhoe Park in 2003 but finished second-bottom and was relegated to D2 section. A highlight of the season was the Team of the Century dinner at Preston Town Hall, which Matthew played a key role in organizing. The Hoes, with Valkanis as assistant coach to Matthew, reached the semi-finals in 2004, losing to Old Geelong by 35 points. Club stalwart and reserves coach Colin McDonald became the first player to clock up 300 games. Sadly, one of the club’s most beloved characters Reg `Mulga’ Miles, passed away. 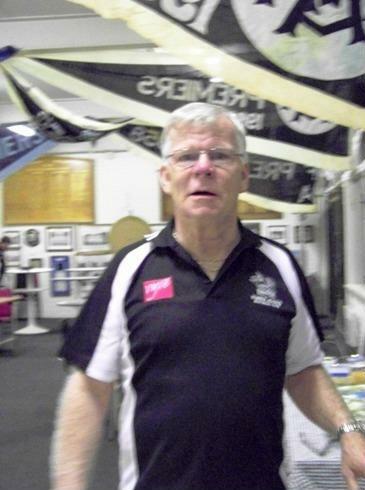 Reg had been an A grade premiership player and long-time committeeman and volunteer. Matthew stepped down as coach and was replaced by Parade College teacher Tony McKay in season 2005. Past player Richard Peoples replaced Rob Pearce as president. After a promising start, the club suffered a spate of injuries and narrowly avoided relegation. A highlight was Peter Rawley’s 300th game, eventually overtaking McDonald as the club’s games record holder. 2006 saw Panton Hill spearhead John Garrard appointed as coach by new president Chris Tucker. Garrard proved a handy goalkicker but lacked support. The club was relegated at season’s end to D3 and Garrard was not re-appointed. The Hoes also formally dissolved the Assumption alliance at the end of the 2006. Primarily, with the club in lower grades, it was proving impossible to attract new recruits from Assumption, who were eagerly sought by VFL and A-grade clubs.